In the mid-fourteenth century the Black Death ravaged Europe, leading to dramatic population drop and social upheavals. Recurring plague outbreaks together with social factors pushed Europe into a deep crisis that lasted for more than a century. The plague and the crisis, and in particular their short-term and long-term consequences for society, have been the matter of continuous debate. Most of the research so far has been based on the study of written sources, and the dominating perspective has been the one of economic history. A different approach is presented here by using evidence and techniques from archaeology and the natural sciences. 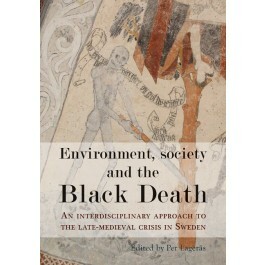 Special focus is on environmental and social changes in the wake of the Black Death. Pollen and tree-ring data are used to gain new insights into farm abandonment and agricultural change, and to point to the important environmental and ecological consequences of the crisis. The archaeological record shows that the crisis was not only characterised by abandonment and decline, but also how families and households survived by swiftly developing new strategies during these uncertain times. Finally, stature and isotope studies are applied to human skeletons from medieval churchyards to reveal changes in health and living conditions during the crisis. The conclusions are put in wider perspective that highlights the close relationship between society and the environment and the historical importance of past epidemics. "...extremely well illustrated, and care is taken to ontroduce readers to scientific technoques (e.g. stable isotope analysis). While the overall conclusions are ones that we might have expected, within the context of a poorly doucmented region such as Sweden they provide important confirmation that human responses to the late medieval crisis closely resemble those seen elsewhere in north-west Europe." "...there can be little doubt that this book is the result of an extremely dedicated scientific investigation, which has brought together several different scientific methods of inquiry." "This admirably thoughtful book deserves a large readership because it offers a wide ranging interpretation of an important subject, and because it serves as a model of interdisciplinary coordination." "Illustrated with maps, charts, graphs and photographs, the publication may appeal more to scholars that casual enthusiasts, but it is a fascinating read for anyone with an interest in this pivotal period for European history. "